We know that lots of mobile poker players like to relax with a little casino session every now and then. 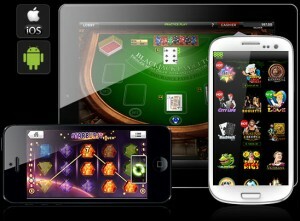 Thats why our team at poker-apps.net is reviewing the most important mobile casino apps for you. Today we are taking a close look at the 888 Casino App. The 888 Casino offers both, a native App for Android Smartphones and Tablets as well as a native App for iPhone and iPad. Which Slotmachines are available? Where can I download the App? How does it play compared to other Casinos? And despite that, is my money safe at 888 Casino and how much do they pay out? These and other important questions will be answered below, in our big Mobile 888 Casino App Review. If you have already taken a look at our poker reviews you might have stumbled upon the really brilliant reviews 888 has gotten from us. The 888 Casino App leaves a good impression, too. Let’s start with the different ways to download it. As we already mentioned, the 888 Casino App is available for Android and iOS, which is the first asset. The download is really simple. You only need to follow one of the links below with your mobile device. Right after the registration process you will see the right download link for your Android Smartphone and Tablet or your iPhone or iPad. 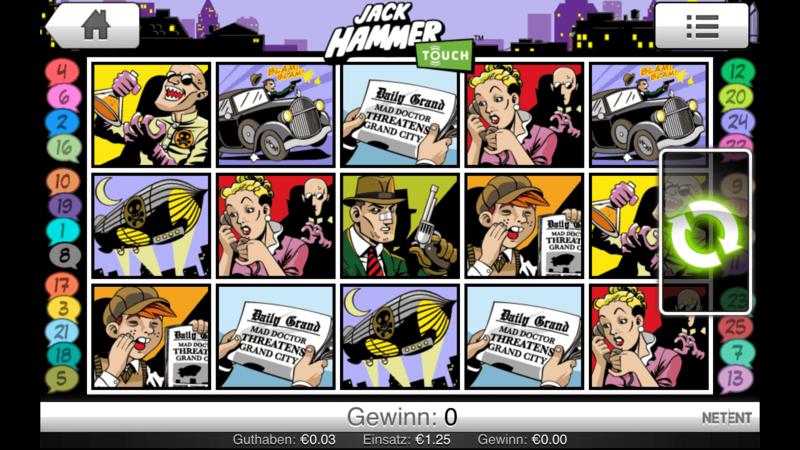 Der Jack Hammer touch Slot gehört zu den besten Online Geldspielautomaten der App. The 888 casino bonus is still one of the most attractive offers out there. And the best thing is: Meanwhile it is available to mobile players, too. If you register as a new player at 888 casino, you can grab up to $888 freeplay – no deposit needed. All you have to do is open a new account via this link and sign up. After your registration you will be granted one free spin at the wheel of fortune. The wheel gives you 15, 20, 50, 88 oder $888 freeplay. Once you have registered and applied for the bonus, you can use your new account on desktop and mobile. If you are planning to deposit anyways, there is another attractive bonus available especially for mobile players. The 888 casino bonus for mobile players matches their first deposit up to €140. To claim this bonus, visit 888 here (the bonus link is included in our link) and register. When you make your first deposit, a 100% Bonus will be added to your real money account. Frequent casino players and highrollers can choose a different bonus if they like. Register here and enter the Bonuscode Welcome1 to get 100% Bonus up to €100. With your next four deposits (using Bonuscodes Welcome2, Welcome3, Welcome4, Welcome5) you can grab another 30% Bonus up to €350 each time. Alltogether, its a huge €1500 to play with. Adn the free casino bonus op to $888 is on top of that. Once you have installed the app and start gambling, you will see that the native app isn’t really a native one. There are several occasions where you will be redirected to a webapp using your mobile browser. AT some point, a login will be neccessary again. And especially on our iPad Air 2 we encountered several crashes where the main part of the app didn’t react while the upper navigation buttons still worked. Obviously some bug fixing needs to be done. We put that on the Con List, of course. If the app is running well, the mobile casino has quite a lot to offer. Regarding Slotmachines, 888 offers both, exclusive slots like Casino Reels and popular ones likeStarburst, Disco Spins or Gonzos Quest, all provides by NetEnt touch. With the Freddy Krueger Slot Nightmare on Elm Street there is a Slot with a major Warner Bros License, too. The mobile 888 Casino Lobby offers several Live Casino Games. If you prefer to play table games like Roulette and Blackjack, the 888 mobile casino has something for you, too. There are five different real money roulette tables as well as two multihand blackjack tables. All of you who are bored by playing against the computer and prefer real human interaction might be attracted by the Live Casino Games. A videostream brings a real casino experience to your smartphone or tablet. 888 offers Live Dealer Roulette, Live Dealer Blackjack and even Live Dealer Baccarat. All of the above can be played as real money games from within the app. In case you haven’t played at 888 before, you might ask yourself if the casino operator is legit. We can assure you there is no need to worry. 888 is licensed in Gibraltar (where the company is located) and the UK. 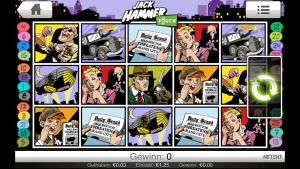 It has even been credited with a german casino license in http://www.schleswig-holstein.de/IM/DE/Service/Gluecksspiel/Gluecksspiel_node.html” target=”_blank”>Schleswig Holstein. The pay-out-percentage is calculated by the independent organisation ecogra. It was as high as 96,44 percent when we wrote this review. 888 tries hard to make the 888 mobile casino as successful as the 888 poker app. In most of the categories of our review the 888 casino app is absolutely convincing. But there are some points that need improvement: It is not really suitable that the $88 free no deposit bonus isn’t available for mobile players. At least you can try most of the games for free. Another point to critizize is the unreliable software and the unconsistent gaming experience with the app switching to the mobile browser before loading a casino game.